One Frenchman’s love affair with Cuba! Go back in time to the late 1800’s. The science of Pharmacy is young and there are many discoveries to make and many ailments and diseases to cure! Dr Juan Fermin Figueroa Velis of Cuba, invites his newly graduated, French Pharmacist friend, Dr Ernesto Triolet Teliebre to visit. The friends decide to set up in practice together in Matanzas and Ernest asks to marry Juan’s sister Maria Justa! 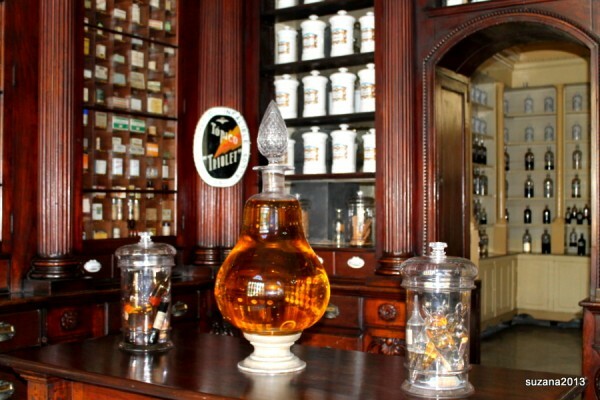 The two men dedicate their lives to their pharmacy which became famous and is now open to the public as a museum. Ernesto and Juan worked together establishing the pharmacy in Matanzas which was famous throughout Cuba in its day. 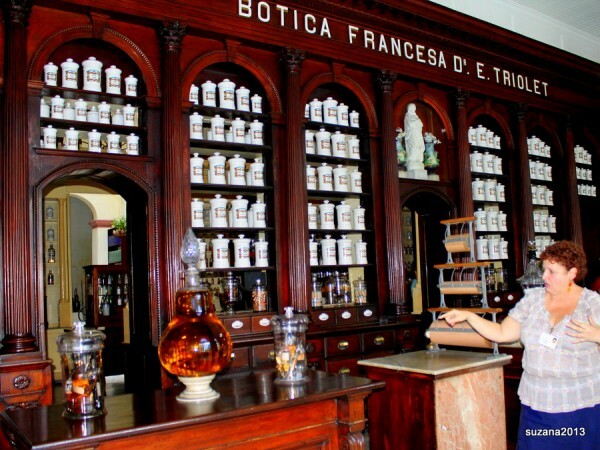 The “Botica la Francesa” as it was then called has today been re invented as the Pharmacy Museum, “Museo Farmacéutico” and it is well worth a visit! The guided tour can be enjoyed in a variety of languages and the items on display are beautifully cared for and preserved in the manner of a working pharmacy and dispensary. 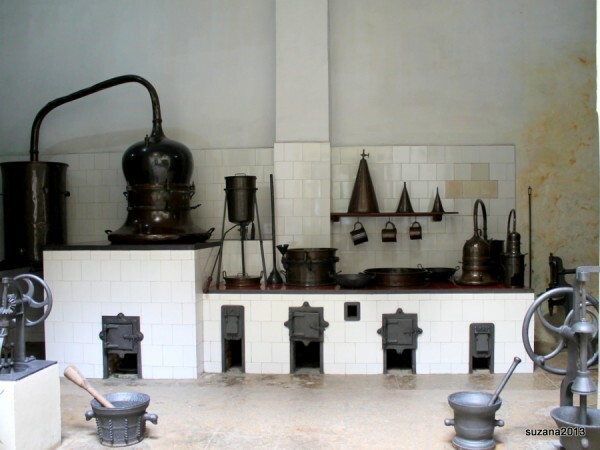 The enthusiastic guides will explain how the medicines were made and you can see the tools and the recipe books for potions and powders administered to the people of Matanzas. Adornments such as a beautiful porcelain vase with portraits of the husband and wife are proudly displayed above the sales counter, as is a statue in marble of the Virgin of Conception protecting the establishment. 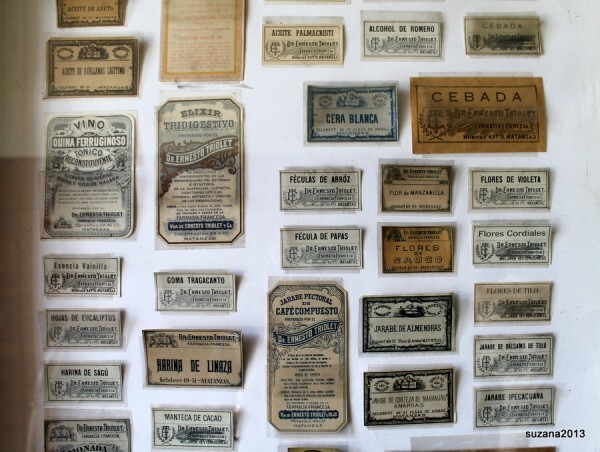 Hundreds of labels and boxes are on show behind glass. Original tools and cabinets are still full of medicaments in use at the time of its heyday, and the ancient “on Duty” lamp outside, (which used to indicate when the pharmacy was operational,) is said to mysteriously come on from time to time as a reminder of the past!? 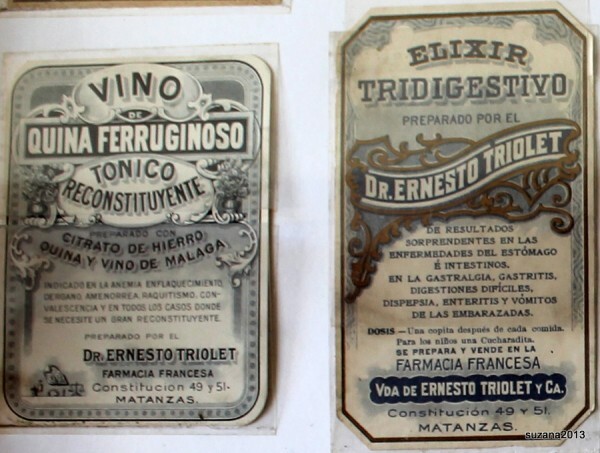 Ernesto kept up to date with pharmaceutical trends and did his own research. His personal library is testament to his enthusiasm and dedication to his profession. 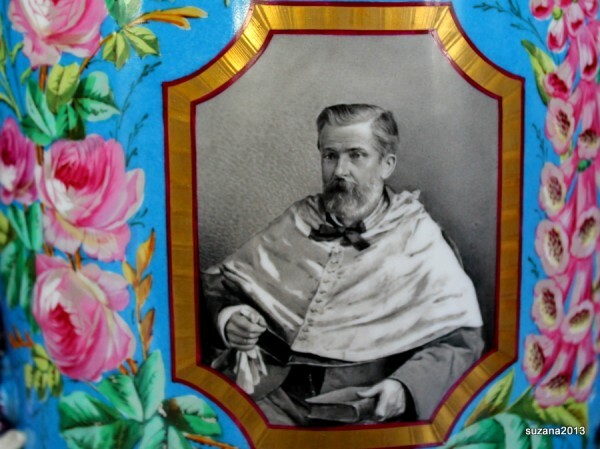 He took some of his products to the Paris World Exposition in 1900 where he won a bronze medal, sadly he never returned to his beloved Cuba and his family as he died on December 19th 1900 in France of a heart attack. 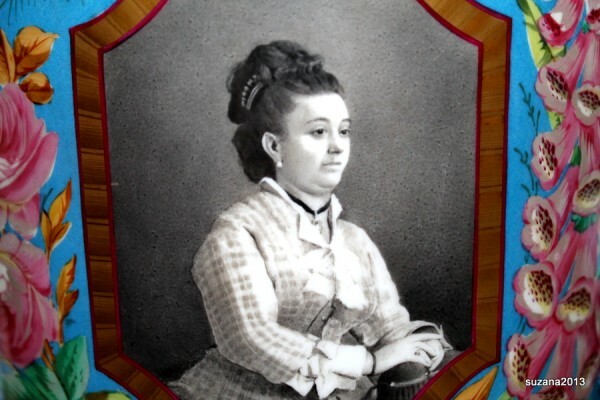 Sadly Ernesto’s marriage to Maria Justa was short lived as she died at a very young age, but his friend Juan’s daughter, Maria de los Dolores accepted his offer and became his second wife. Dolores was one of the first Cuban women to graduate in pharmacy in New York and after the death of her husband she continued the work of the pharmacy in Matanzas, outliving him by many years! The couple had three children and the youngest Ernesto Triolet Figueroa ran the pharmacy until it closed in 1964 and re opened as a museum a few months later. Ernesto the younger continued to care for the museum until his death in 1975. Why not join us in Cuba this year and explore the fascinating history of this island of immigrants and pioneers that has so many stories to tell!! ?